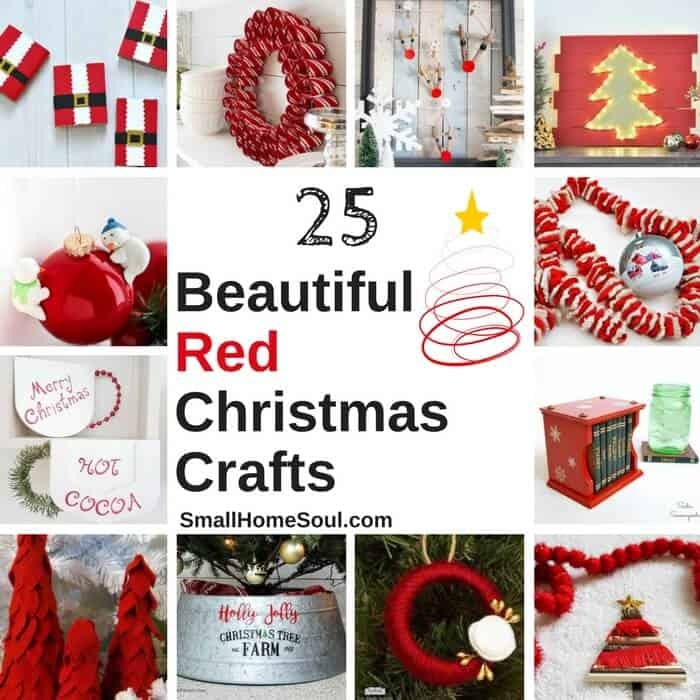 Red Christmas Decor - 25 Beautiful Crafts - Girl, Just DIY! 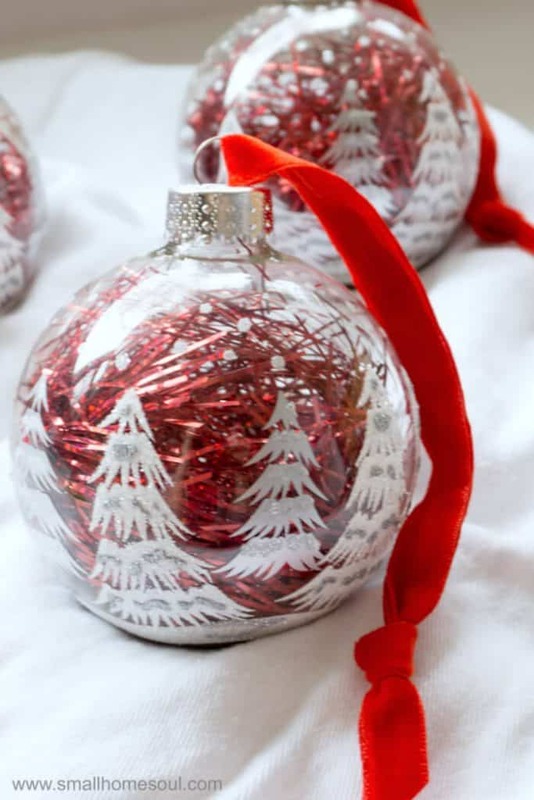 As you have noticed from my last few (ok, several) projects, I love Red Christmas Decor. 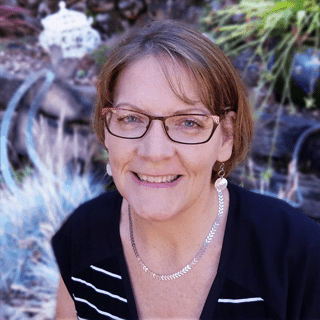 I figure I can’t be the only one so I put it out there to some of my blogging friends to gather and share a “round up” of red for you. 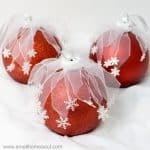 I came up with 25 (including a few of mine) that I hope inspire you to give red a go in your Christmas designs for your home. It was really hard to choose from all the red projects that were offered. So many talented bloggers out there to be inspired by, I just want to make all of them for myself now. Pin directly from their website. I love this funky upcycled Sweater Felt Christmas Garland by Claire at Pillar Box Blue. She’s so creative. It makes me want to run to the thrift store and buy some old sweaters. 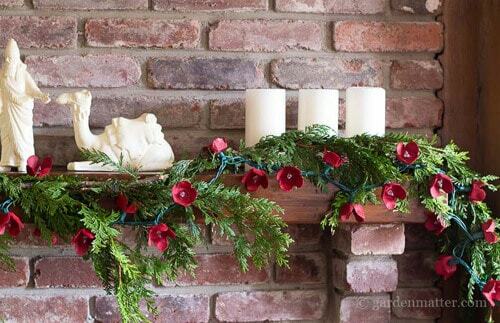 You’ll never guess what this cute garland is made from? Ok, I’ll tell you, it’s egg cartons!! Seriously smart, right? 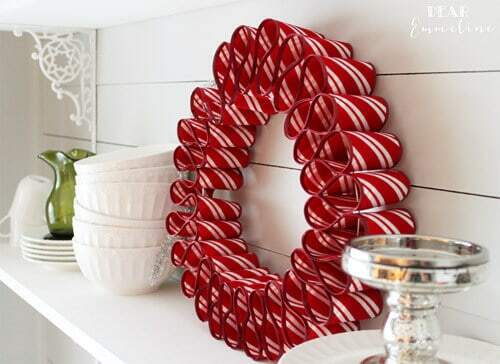 Patti at Hearth and Vine is always creating such cute crafts for her home. 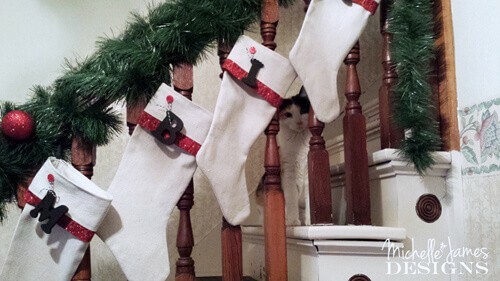 Michelle James Designs added the cutest little red detail to her new Christmas Stockings. I love the simple detail and the adorable pattern she used. 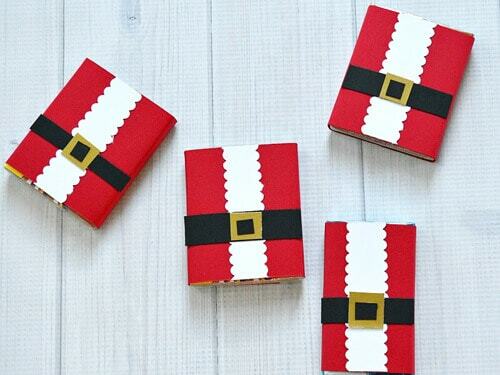 Technically these cute Santa Candy Wrappers don’t fit in this section but since they could easily slip into a stocking I figure they’re perfect to come right after a stocking. Organized 31 shows you how easy they are to make. And they’re sure to be a big hit in your stockings! 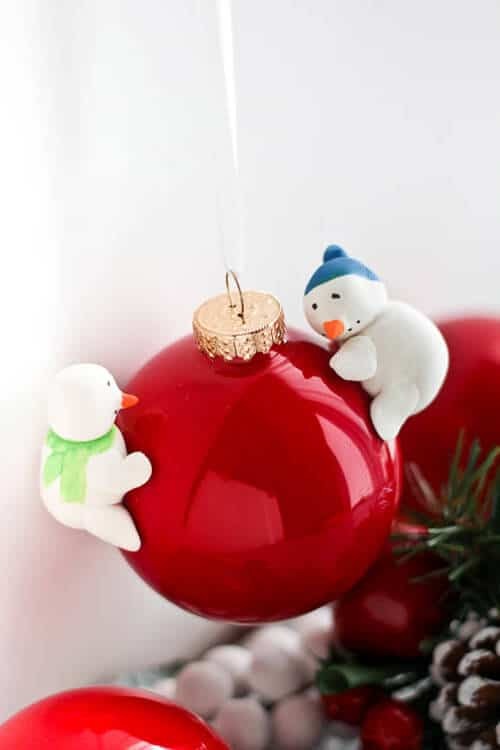 Aren’t these these cutest little snowmen that Sherry at Savvy Apron made and added to her red ornaments? She has some great tips for creating these little guys with clay. I think you’ll love what Denise at My Thrifty House made for her family. 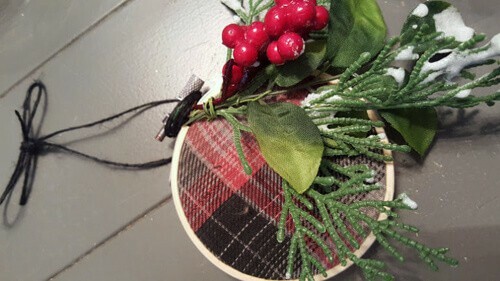 It’s an embroidery hoop memorial ornament she made from her son’s favorite flannel shirt. Now they’ll each have a little part of Cody with them every Christmas. If you’re into mason jars then you have what’s needed to make this cute ornament Emily at Two Purple Couches made for a Christmas Blog Hop. 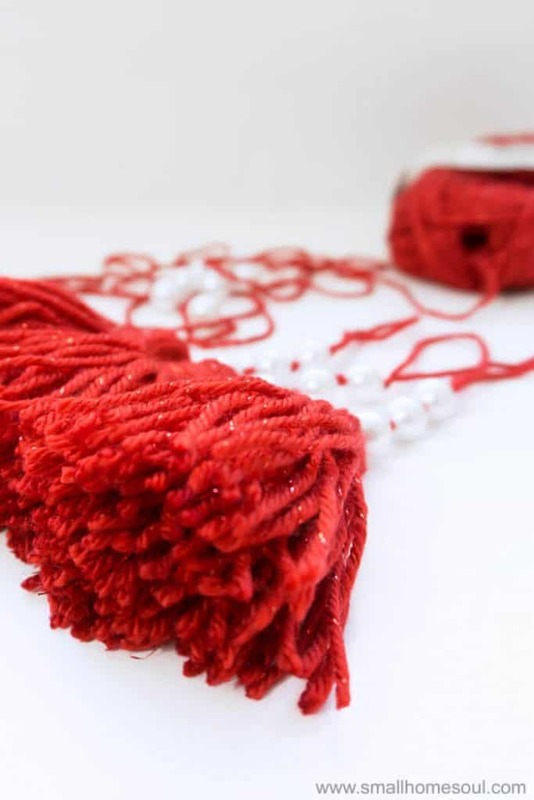 You can get so crafty with the yarn and adornments and even make them as gifts. I’m sure you’ve seen the sharpie marker mugs, right? Well this is the same method only on an ornament. I love how Organized 31 created these cute personalized ornaments for her family! Sweet Parrish Place made these beautiful Christmas ornaments for an online ornament exchange. 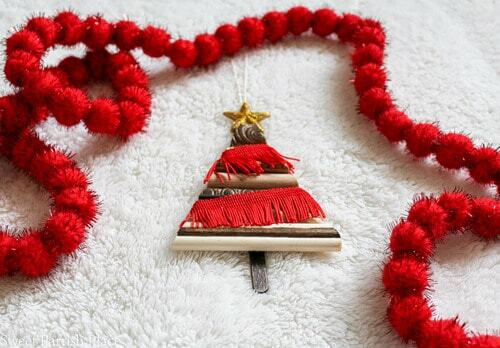 She paired cute tassels over Christmas trees made from wooden trim scraps. I love how fun the tassels are as the garland on the tree. 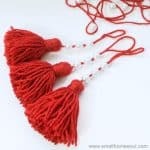 I made my own Tassel Ornaments with Pearls for the Online Ornament Exchange. They’re so fun to make; I want to make them in all the colors now. 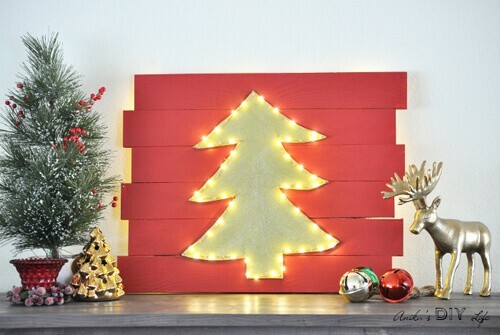 When I saw this cute Lighted Christmas Tree last year by Anika’s DIY Life I wanted it for myself 🙂 How cute, it looks beautiful unlit, but then at night when the lights are on, even better! 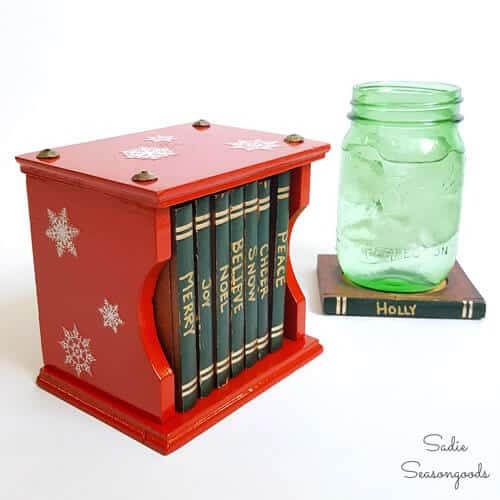 And how about this awesome Little Red Ladder by Susie over at The Chelsea Project? 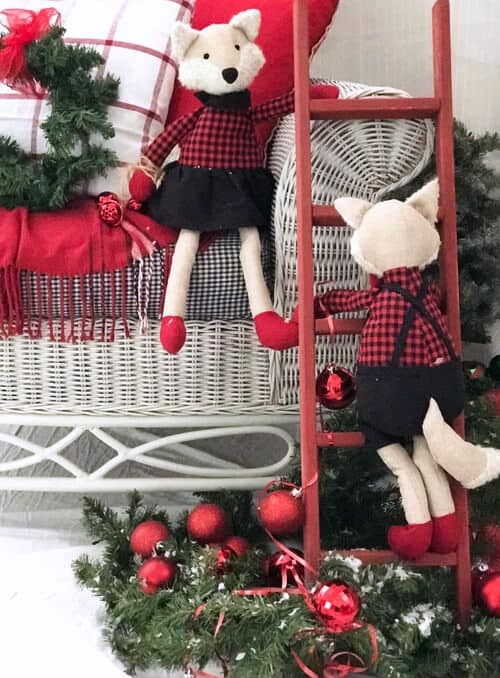 You could stage this little ladder so many different ways, but her Christmas Foxes are perfect I think. 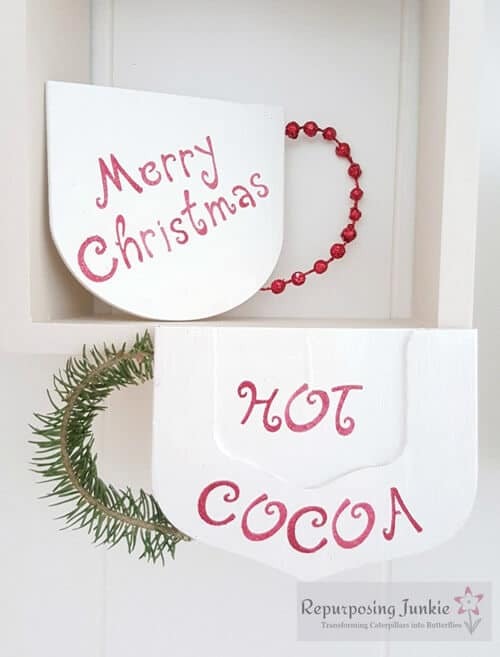 You won’t believe what Repurposing Junkie repurposed to make these cute Christmas “Mugs.” Can you guess? 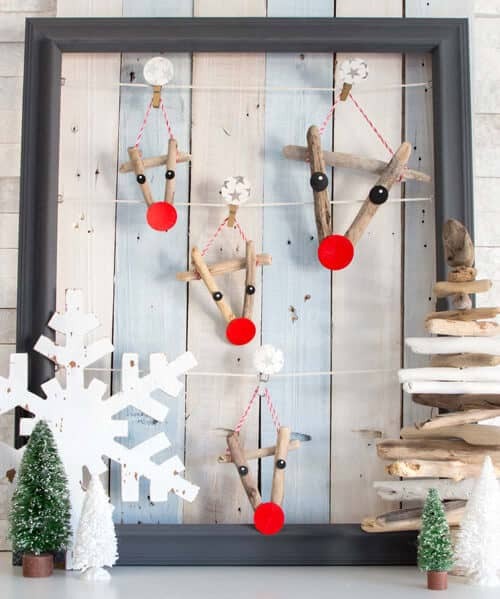 If you’ve ever been sledding in the snow this one by Sweet Roses Studio is sure to elicit happy memories for you. I don’t live in the snow but we spent one Christmas in Lake Tahoe when I was young and the old 8 mm video of two of my brothers and me sledding in the front yard is priceless. 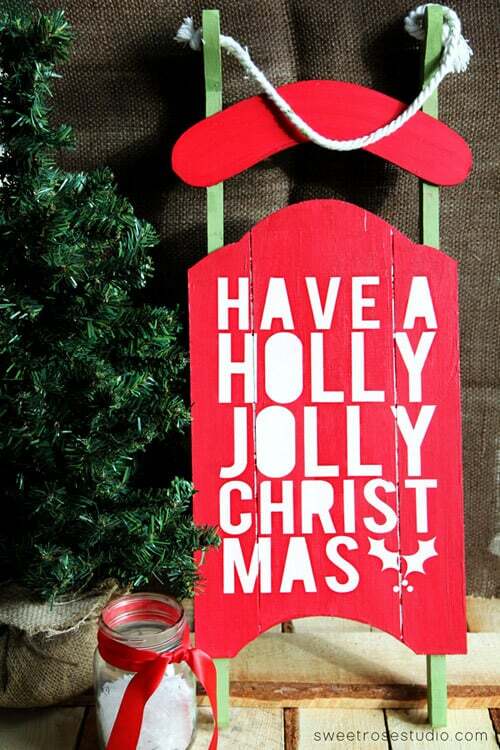 I’ve made a few signs but I haven’t made a Christmas sign yet. 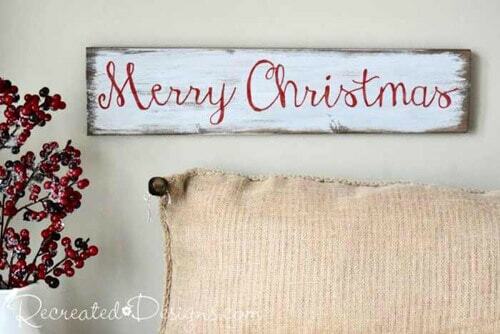 When I do I want it to be as sweet as this Scandinavian Merry Christmas sign by Recreated Designs. 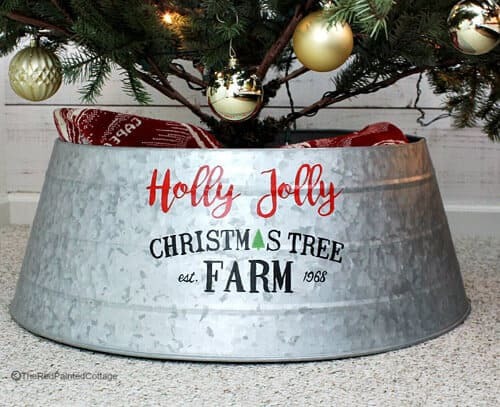 Tree Collars and buckets are big these past couple of years. The Red Painted Cottage made hers from an old galvanized bucket. Upside down and so easy and awesome! Purple Hues and Me saw some Red Felt Christmas Trees she loved, until she saw the price tag. She decided to make her own version and I think they looks just as beautiful as the overpriced option she saw in the store. 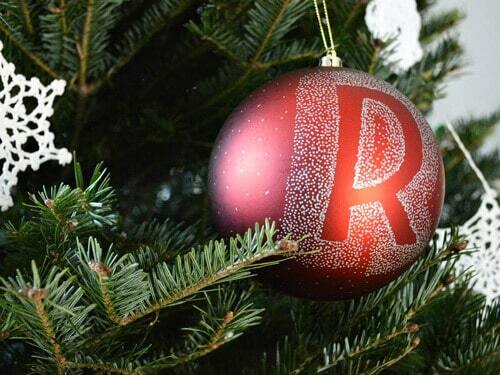 Now that’s some lovely red Christmas decor! 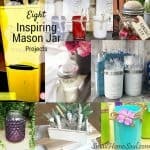 How about a use for all those extra jars and bottles? 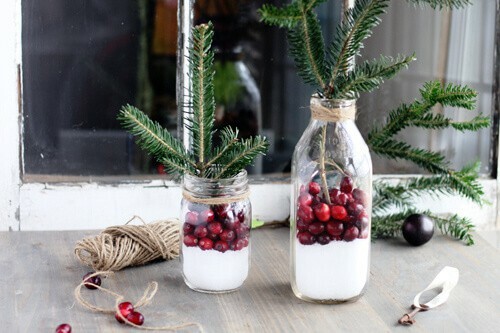 Buy this Cook That put hers to use with cranberries for an easy and beautiful Christmas greenery display. These would be great as a centerpiece when entertaining. When you’re having guests over they need a place to set their beverage. 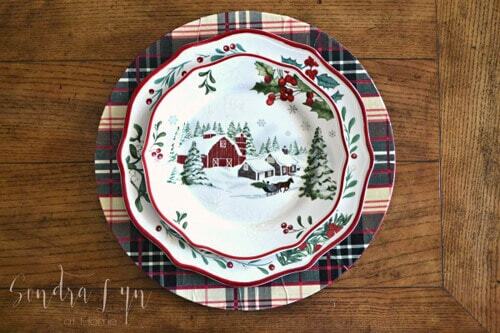 Sadie Seasongoods refreshed an outdated vintage coaster set and gave them some extra Christmas Cheer. And while we’re talking about entertaining we can’t forget about the table. 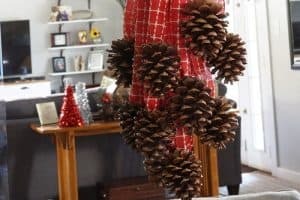 Chargers to be exact, and Sondra Lyn at Home will surely make her guests feel at home with these lovely plaid chargers. They are so beautiful under her Christmas China. 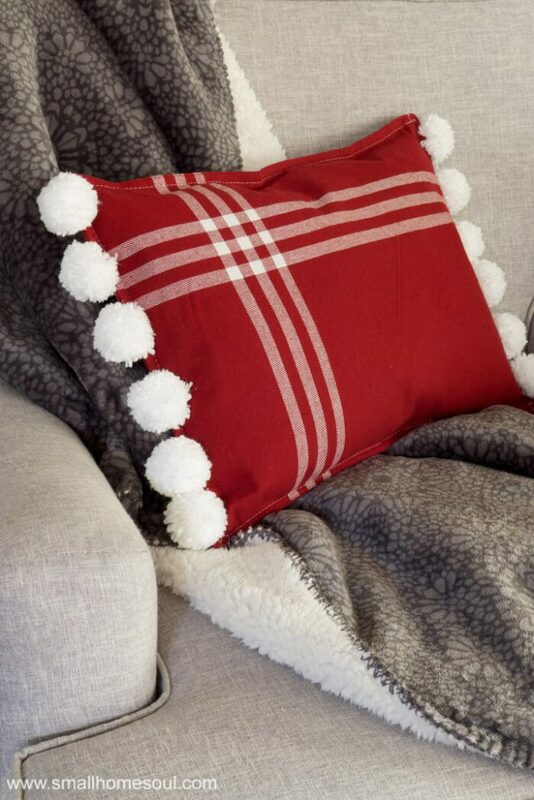 After all that entertaining it’ll be time to sit down, relax, and enjoy this cushy and playful Pom Pom Pillow. Can you guess what it’s made from? 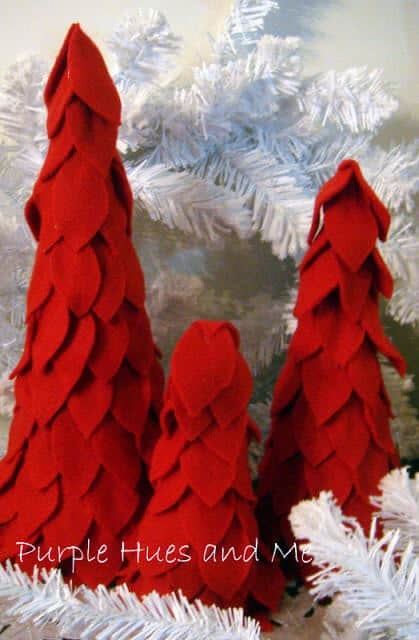 I hope you’ve enjoyed this Red Christmas Decor Round-up. Be sure to Pin it and share it so that others can be inspired too. Though Christmas is over, I’m still very excited with all those decorations. Thanks for the ideas, I will use them the next year. I love all the reds at Christmas. 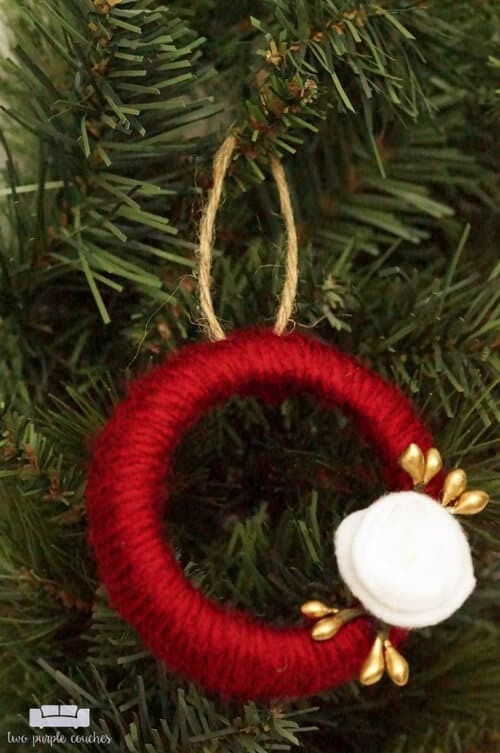 Great round up, thank you so much for including my felt garland.. 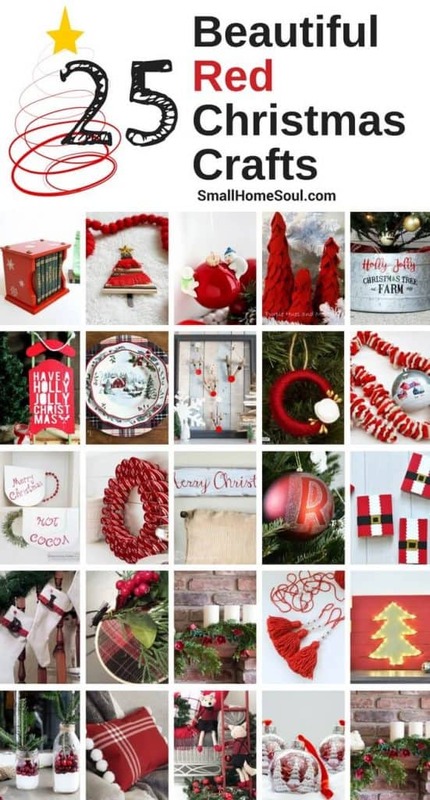 I LOVE all of these beautiful red Christmas projects! You have done a great job putting together this roundup. Thank you for including my clay snowmen ornament.